“Do you want to make a really good stout?” she asked. The answer seemed obvious, yet I hesitated, thinking it was a trick question. I was a novice homebrewer with only a few pale ales and hefeweizens under my belt. “Well, yeah,” I replied. She smiled. “I’ll take care of everything.” And with that, the owner of the homebrew shop began to fill my bag with extract, specialty malts and yeast. At the time, I didn’t realize that a seminal event had just occurred—the naissance of my first Russian Imperial Stout. In retrospect, it was probably too ambitious for a beginner. But being blissfully oblivious to the challenges of high gravity brewing has its advantages. The beer was wonderful: luxuriously dark with flavors of roast, chocolate, and plums; and hints of alcohol and licorice. I had never drunk anything like this before. Its effects were mind altering. Time and space bending. Universes simultaneously collapsing and coalescing. It changed my homebrewing life. Most homebrewers are familiar with the origin of this style—a beer brewed by the British, intended for Russia’s royal court. Perhaps had Czar Nicholas shared a few pints of this magical elixir with Lenin, they could have amicably resolved their differences; the Romanovs wouldn’t have suffered such an ignominious fate; and the history of the world would have changed. Although my first batch was good, I resolved to make the next one even better. My recipe was in constant evolution, a tweak here, a tweak there. I researched beer for the first time, buying books on stouts and reading every article I could find. 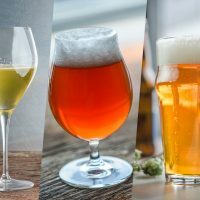 I sampled as many commercial examples as possible—Dogfish Head’s World Wide Stout, Victory’s Storm King Stout, Bell’s Expedition Stout, and North Coast’s Old Rasputin—to learn the style’s nuances. I use a complex grain bill that layers many specialty malts to create a subtle symphony of flavor. Maris Otter is my base malt for its toasty flavor, although pale malt will work just as well. I supplement this with a generous portion of light Munich malt to enhance the toastiness. Next comes medium crystal malt for sweetness, CaraMunich to enhance the caramel aroma and taste, Special B for caramel and fruit flavor, Special Roast to contribute roasted biscuit notes, and then the darkest malts: chocolate and roasted barley. 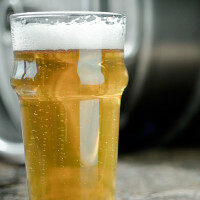 Flaked barley is also added to aid in the head retention that is so difficult to achieve in a high alcohol beer. Lastly, I add corn sugar to raise the alcohol without increasing the residual sweetness. Extract brewers should consider doing a partial mash with the Munich and specialty malts to duplicate the complexity of the all-grain recipe. If that’s not an option, be sure to forgo the flaked barley, which must be mashed, and use a fully attenuating light extract, like Muntons. 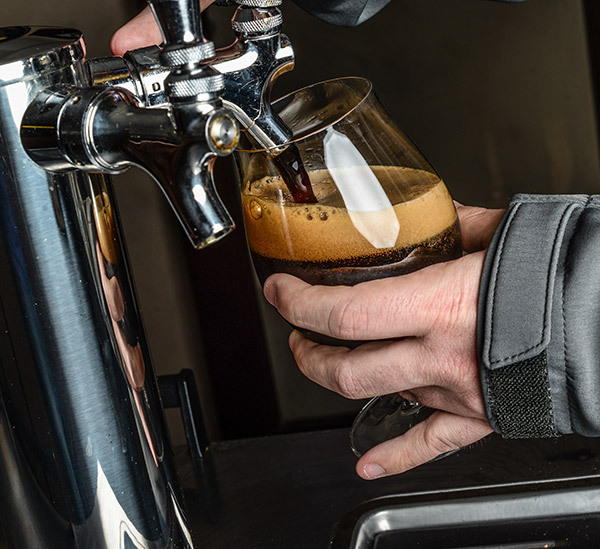 Avoid dark extracts because they’re supplemented with highly kilned malts that will affect fermentability. Mash grains at 154° F (68° C) for 60 minutes. Sparge, add corn sugar and boil for 90 minutes. Add hops as indicated. Ferment at 65° F (18° C) to 68° F (20° C) for two to three weeks. Rack to secondary fermenter and condition for four to six weeks. Bottle or keg at 1.8 to 2.0 volumes of CO2. Age and serve at cellar temperature. Partial Mash Option: Mash Munich malt and specialty grains, sparge, and add sugar with 8.50 lb (3.85 kg) light DME. Follow remainder of recipe. Extract Option: Forgo the flaked barley and steep specialty grains for 30 minutes at 150° F (66° C) to 160° F (71° C). Replace the base grains with 11.25 lb. (5.10 kg) light DME and add sugar. 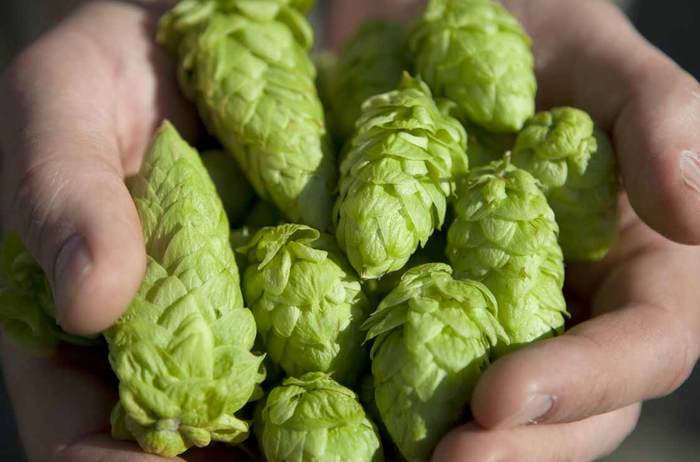 Increase hops by 25 percent if not doing a full-wort boil. Follow remainder of recipe. This is the big one your mama warned you about, over 25 pounds of grain. My mash tun made from a 48-quart Igloo cooler is more than adequate as long as I keep the ratio of quarts of water to grain around 1.25. I shoot for a mash temperature of 154° F (68° C) for 60 minutes. This temperature will insure a thick, chewy body without compromising fermentability. The target for the original gravity is 1.115, assuming 70 percent efficiency. As with all big beers, achieving this is a challenge. The trick is to constantly monitor the specific gravity of the wort during the sparge. It may be necessary to terminate the sparge a little early, boil longer to concentrate the wort, or toss in some extract when no one is looking to achieve the desired gravity. I don’t believe in wasting beer, so I usually continue to sparge and make another homebrew with the second runnings, either a Dry Stout or a Dark Mild Ale, depending on when I terminated my first sparge. Just be careful not to let the gravity of the second runnings drop below 1.010 or astringency will become a factor. I’m a traditionalist and use the English varieties: a mix of Northern Brewer and Challenger for bittering, and Target for flavor. I’ve also substituted Admiral and Northdown with success. Bear in mind that these varieties may be interchanged for bittering and flavor. American hops will work as long as one stays in character for the style (try to keep the calculated IBUs around 75) and doesn’t go overboard. Regardless of the variety chosen, I don’t add any aroma or dry hops. A Russian Imperial Stout needs to age, and any hop aroma will have long dissipated by the time it’s ready for consumption. Presently, I use either White Labs WLP013 or Wyeast 1028 London Ale yeast. Their rich, estery profiles suit the style well. I’ve also had success with White Labs WLP004 or Wyeast 1084 Irish Ale yeast. I like this strain’s fruitiness, and fermentations are long enough that diacetyl isn’t a factor. Unfortunately, its attenuation is not as great as the London Ale yeast and every point of final gravity counts with a beer this big. The old standby of either White Labs WLP001 or Wyeast 1056 will work too, but I believe you’d be cheating yourself because of its neutral flavor profile. I make a 1-gallon starter a few days before, allow it to settle, and decant the liquid off the yeast so I won’t dilute the wort. Another method is to repitch a fresh slurry from a previous batch. Many times I’ll make a porter or an Irish Red beforehand for this very purpose. Ferment in the mid to upper 60s. This will keep the fermentation from becoming too explosive and will limit those nasty, fusel alcohol headaches. It’s paramount to aerate the wort vigorously. The yeast will need all the help it can get to reach the target final gravity of 1.030. I aerate with pure oxygen for five minutes and for another minute as soon as fermentation becomes apparent. Primary fermentation should be complete within two to three weeks. I then rack to a secondary fermenter to condition for at least a month before bottling. Those who keg have a decided advantage when bottling the Russian Imperial: simply force carbonate. Unfortunately for me, my wife has yet to approve the expenditure for kegging (but I’m over it now), so I bottle condition. If all has gone to plan, your homebrew should have an ABV of about 11.5 percent. The yeast will be spent, dazed and confused. Bottle carbonation will be difficult, so it’s imperative to add fresh yeast. A packet of Safale US-05 dry yeast is an excellent choice. Fortunately, the carbonation for the Russian Imperial Stout is low 1.8 to 2.0 volumes of CO2 and the beer will have plenty of cellaring time to achieve that level. Don’t measure your priming sugar, it’s too inaccurate; always weigh it. Using ProMash as a guide, about 2.8 ounces (80 grams) will be right on the money. Now that you’ve brewed and bottled your Russian Imperial Stout, here’s the hard part: waiting. This beer needs lots of time to mature. Six months is OK, but a year (or longer) is much better. You’ll hate yourself if you drink it too soon and have only a few bottles left when it’s at its peak. I try to brew close to Christmas so I can enjoy my Russian Imperial for the next Christmas. 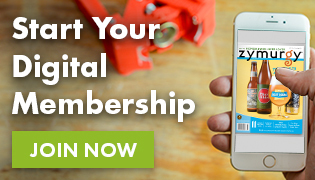 Once you start your brewing cycle and wait that first year, you’ll have a steady supply. And there’s nothing quite like a vertical tasting of several vintages to compare the nuances. 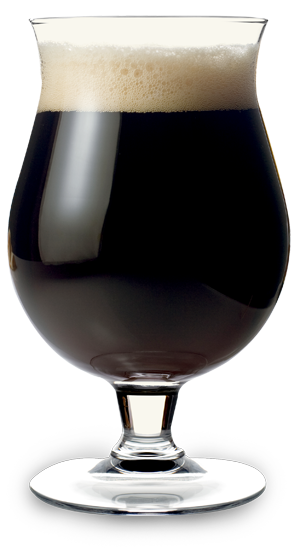 I serve my Imperial Stout in a brandy snifter at cellar temperature. I let the bottle breathe for a minute or two after opening, as if it were a fine wine, and gently sniff before drinking. The aroma is almost as complex and intoxicating as the beer. But a word of caution: sip, don’t gulp. A Russian Imperial Stout needs to be savored slowly, and a homebrew this potent demands respect. I found out the hard way the first time I drank it. My buddy and I had several (yes, several) before we had to take an unscheduled nap. He awoke from his slumber to exclaim, “That put me down like a bed o’ deer.” And thus was born the name for my Russian Imperial Stout. I have no idea what it means—either then or now. But I do know that it’s a really good stout. 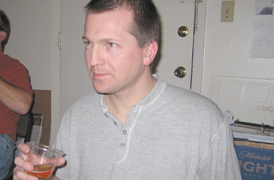 Mark Pasquinelli resides in Elysburg, Pa. with his wife and four cats. He’s a member of the PA-Alers Home Brew Club and has been homebrewing since 1995. He likes to brew pale ale, pumpkin ale, and an imperial stout with hallucinogenic qualities.